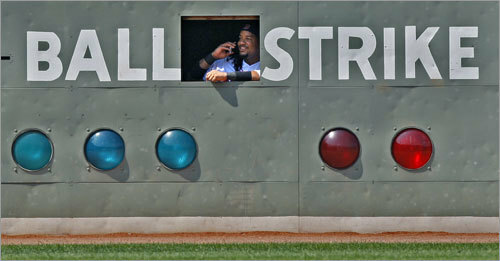 Sox slugger Manny Ramirez climbed into the Green Monster on Wednesday and could be seen talking on a cellphone during a pitching change. We asked you to tell us who you thought Manny might be talking to and how the conversation might have gone. Now, we've selected 10 faux calls and ask you to pick your favorite.